When Carma Erickson-Hurt was a child, she had to be admitted to the hospital. There she met a nurse who was not only kind, but inspired her to become one too. Now retired, Erickson-Hurt was honored by the United Nations last month on International Nurses Day. She had been nominated by the non-governmental organization (NGO) Project HOPE, where she has worked as a volunteer for the past 10 years. She and 14 other nurses from around the world were honored by Nurses with Global Impact during the UN awards ceremony on May 12 at the UN headquarters in New York. 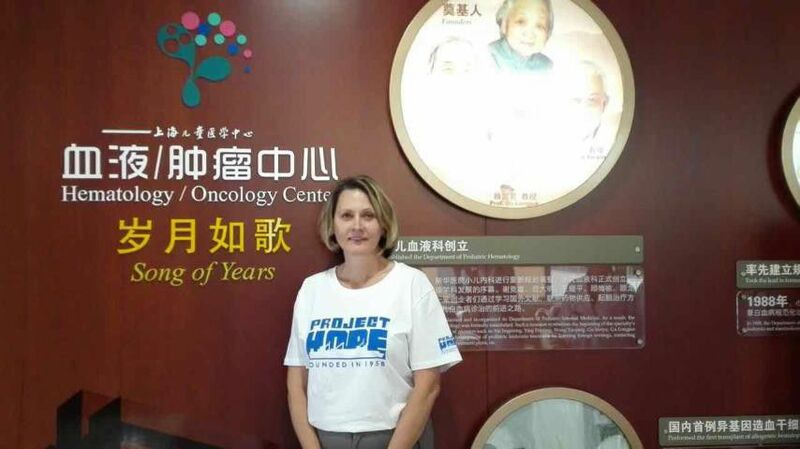 Erickson-Hurt was first introduced to Project HOPE while she worked as a nurse in the Navy on the hospital ship USRS Mercy stationed out of San Diego. She was part of the team on the ship to respond to the tsunami in Indonesia, and brought the NGO organization with them. “It was a first because the military does its own thing and civilians do their own thing, but it worked out really well because we're all just nurses and doctors,” she said. Project HOPE, which stands for Health Opportunities for People Everywhere, is mostly focused on education. In the 50s, it used to have its own hospital ship that traveled the world providing medical care, but after it became too costly the organization conducts more land-based missions. Though she was thrilled to be part of the ceremony last month, Erickson-Hurt believes that nurses should be recognized more. Of the group was a nurse from the Phillipines, and her story struck Erickson-Hurt more than the rest. For those either in the nursing field or thinking of making it a career, Erickson-Hurt said it is one of the best jobs someone can choose. Though Erickson-Hurt used to work at South Coast Hospice, she now teaches as online faculty at the Grand Canyon University.